In another episode of the television special, Shake, Nancy Irlanda talks to some movers and shakers in the Philippine art scene. The Philippines was back this year at the world's most important art fair, the Venice Biennale for the first time in five decades...and the country's pavilion was named one of the best. The Philippines may still have a long way to go in terms of art curatorship, conservation, criticism, endowment, and insurance... but with current prices, it's definitely a seller's market these days. Silverlens Galleries' Isa Lorenzo notes, "The audience is growing...and willing to commit to learning." Art Curator Norman Crisologo observes, "Some people have the eye, some have the wallet...not necessarily the same person." Art academic Leo Abaya of the UP School of Fine Arts says, "I prefer people queueing at museums...not for a particular artist's (future) work." 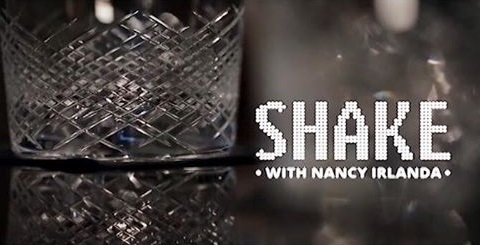 Catch the rest of the lively discussion on Shake with Nancy Irlanda, presented by DoubleDragon Properties, shot on location at Solaire Resort and Casino. Saturdays at 9:30am with replays Sundays at 4:30pm, on ANC The ABS-CBN News Channel. Ch27 on Sky Cable. Simulcast globally on The Filipino Channel in select locations.